Unforgettable, Magnificent, Extraordinary, Beautiful, Amazing, Breathless, … it seems like there are countless words to describe this city, its life, its streets, its local shops, its galleries, sidewalks and facades. 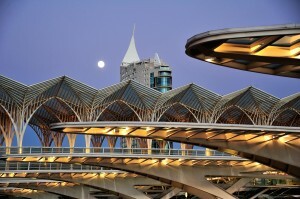 Over the centuries Lisbon has turned into a flourished city and in recent years it has regained most of its timeless charm. 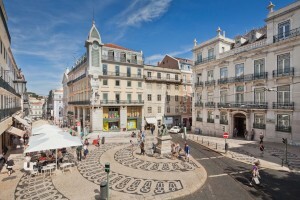 Along with its all time monuments such as Jeronimos Monastery, Torre de Belem and the city castle overlooking the historical area, public plazas such as Praça do Comercio (Trade Plaza) were completely renovated and many old buildings turned into contemporary classical, hotels, shops, offices and amazing homes. Lisbon merges with its river Tagus in every corner and you can see it from its many hills, where viewpoints give you countless and breathless views of this river colored with silver from the reflections of its sunny days. 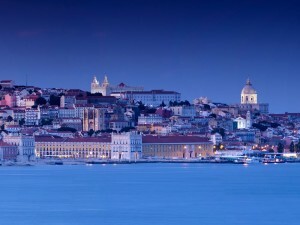 In the last years Lisbon inhabitants have conciliated with the river. Fitness and bike trails were opened through the city and now count with surprisingly almost 80Km. The mostly beautiful and elegant Av. Liberdade with its boulevard turned into one of the 10 most luxurious avenues in the world and here you can find most of the international grifes that tourists always anxious to see. Surrounded by enormous centennial threes, traditional kiosks were brought to the present and were spread along Av. Liberdade for your delight. Another hot place is Chiado, an area that was devastated in the final 80´s by a big fire but from which was possible to reborn the all area making it one of the most important shopping districts along with Principe Real (Royal Prince) another area that a few years ago was decadent and now is flourishing and full of energy with a all new generation of retailers giving it an fantastic city atmosphere with its fresh retail concepts and modern design, but charming architecture. For those who want to bread history everyday this is the ideal place to live. Palaces are still to be renovated but the future is here and you already can feel that a majestic district is coming to rival with its neighbor Chiado. On the north end Parque das Nacoes is a modern neighborhood brought to light by some of the best architects like the spanish Calatrava and the portuguese Manuel Salgado, making this part of town an excellent families spot and in fact its even attracting many of the Golden Visa applicants. Occasionally when you are walking around in Lisbon or take one of the traditional trams you will find the perfect place for a special photo and possibly you will also fall in love with this city and become a Lisbon lover. 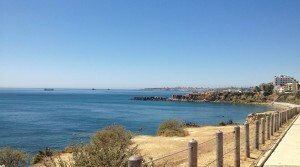 But what really makes Lisbon a special place is the rare possibility of a full healthy lifestyle in a European capital, with more than 20 beaches in a 30Km perimeter where your purchasing power allows you to buy a good quality home and shop and eat in the best restaurants for a fraction of the price in major european cities.